You see that cute little kit up there? I had a stand-off with it at my local health food store not too long ago. I’d been wanting to try Weleda’s Almond Skincare for sometime, but I’m set on my current regimen and really didn’t need to buy it. But it’s cute and sweet, that little package of four generously sized skincare samples, and pink too. I began to back away from temptation, but not fast enough as the pink boxes in that simple brown box got the better of me. Next thing I knew it was sitting in my cart alongside organic yogurt tubes for my boys. I decided to use the cleanser and moisturizers every day, forsaking my Dr. Hauschka and Kahina favorites, to give the Weleda Almond routine a fair shake. I have used the Cleansing Lotion at night and most mornings, the Moisture Cream for day, and the Intensive Facial Cream with the Facial Oil over that for night. The big winner in the kit is the Almond Cleansing Lotion. In fact, I have already bought a full-sized tube to replace the now empty 10ml one from the set. There’s no scent to the cleanser, or any of the Almond products, and it performs very well in removing make-up and the day’s impurities while also soothing the skin. Its consistency is creamy, not milky, but is not so thick as to leave a residue. My skin always feels nourished, cleansed, and never tight after using the Weleda Cleansing Lotion. The other product that I will probably replace with a full-size is the Almond Moisture Cream. It’s light but hydrates efficaciously and wears well under powder or liquid foundations. 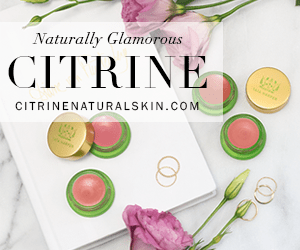 The Almond line is made for those of us who have sensitive skin, but would be appropriate for all skin types save for those with exceptionally dry skin. (You all might want something that provides a little more moisture). The Almond Intensive Facial Cream is not “intense” like the name suggests. I would have thought it to be thicker and less like a lotion. It’s similar in texture to Dr. Hauschka’s Rose Day Cream Light, and neither one gives me the hydration I need, especially in the winter months. I apply a tiny amount of the Almond Facial Oil to boost the hydration which definitely helps. 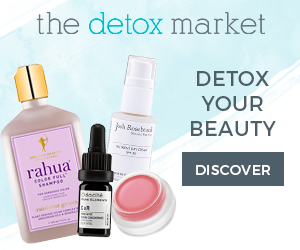 My skin has never looked parched in the morning after using the Intensive Facial Cream and Oil combo, but I do prefer Dr.Hauschka’s Rose Day Cream (the original non-light formula) and Kahina’s organic argan oil as my nightly moisturizers. Overall, I am duly impressed with this line, and have found a cleanser and day moisturizer to place on my already too packed bathroom counter. But I’m fine with that. 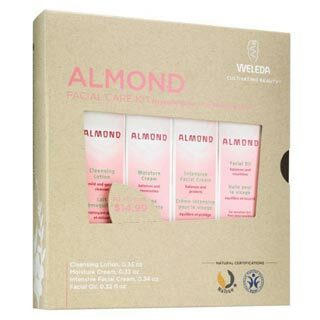 Weleda uses only natural ingredients, including organic almond oil, in their products. This, combined with unscented, effective formulas make Weleda Almond Skincare a fabulous new find. Did I mention how freaking cute the pink packaging is? Cleansing one’s face with oil takes a leap of faith if you have never tried it. It can seem a little odd at best, and scary at worst if you happen to have oily or acne prone skin. But fear not, it will not break you out and does a superb job at removing makeup and impurities. Now that I have gotten used to massaging cleansing oil into my skin as a regular part of my skincare routine, I can’t image doing without it. 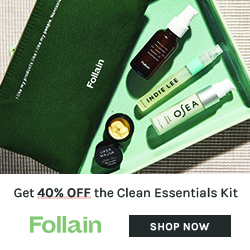 The challenging part for me, has been finding a cleansing oil that is 100% natural. I really like Daybreak Lavender Farm’s By U 4 U Cleansing Oil, and have even reviewed it here, but have since discovered that their “wetting agent” used to make the oil water-soluble is Polysorbate-20, a chemical derived from petroleum. My bottle was empty about a month ago, so I went looking for something without petrochemicals. Laventine’s was recommended on the MUA Green Board and I have been thoroughly impressed with my experience of the two products I received, the Facial Cleansing Oil for Dry/Normal Skin and the Olive Forte for Sensitive Skin. Laventine also makes a formula for Oily/Combo Skin which according to their website is more astringent and lighter than the Dry/Normal Cleansing Oil. My skin is normal in the summer and dry in the winter and prone to (ahem…cyclical) breakouts. Ultimately, I preferred the Dry/Normal formula for no other reason than its relaxing, but not overpowering, scent of lavender and geranium essential oils. You massage the oil on your dry skin and then rinse with lukewarm water. The result is clean skin with no tightness. The Olive Forte is made with only olive derived ingredients and Vitamin E, so it has a faint, fruity olive oil scent. Like the Dry/Normal formula, the scent is not strong, nor does it linger. Unlike the Dry/Normal formula, it is lighter weight and will be my preferred cleansing oil in the summer months. I alternate using the Laventine Facial Oil with my Dr. Haushcka regimen. (I love that so much I will never give it up no matter how diligently I look for alternatives!) Sometimes I use the Dr. Hauschka Cleansing Cream after the Laventive Oil when I feel like my skin needs the exfoliation the “cream” provides. The two lines are very complementary and also work well with my beloved Kahina Facial Lotion andArgan Oil for moisturizing at night. Feel free to mix and match your skincare, there are no rules. 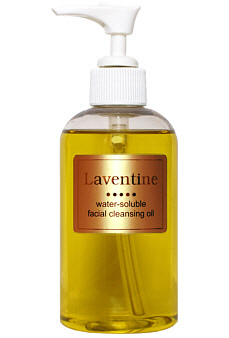 And if you’ve never tried a cleansing facial oil, Laventine gets my highest recommendation. Disclosure: Samples from the company were provided for this review. The opinons in this review are my own. I was not financially compensated for this review or any other.